We owe it to song writers around the world to make sure this verdict doesn't stand. My clients know that they wrote the song "Blurred Lines" from their hearts and souls and no other source... We are going to exercise every post trial remedy we have to make sure this verdict does not stand. We look at it as being in the seventh inning of a game that could go into extra innings. If this is a game, as King implies, it's one that's been going on for quite some time, considering the Gaye estate started threatening legal action back in August 2013, and it's also one that has had many twists along the way regarding whether the song was truly original and new or if it was a rip-off. The court found a definite answer to the question. 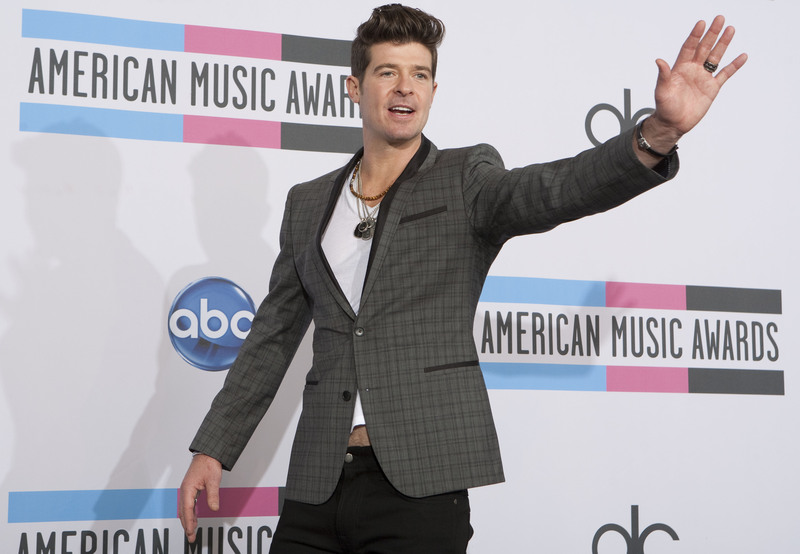 But it looks like Thicke's lawyer still thinks there are some blurred lines. It probably did not help Thicke's case that he said in many earlier interviews for radio stations and magazines that he wanted to do a song similar to "Got to Give It Up." In his testimony to the federal jury, he backtracked on his earlier claims and said that he was drunk and high during said interviews. He also said that he was trying to take credit for part of the smash song, even though it was later revealed that Williams wrote the song on his own. For Williams' part, he maintained that the song had a late 70's "feel" but was not infringement. Gaye's family remained unconvinced. Not only do they want the singers to hand over part of the large profits they made from "Blurred Lines," they also want to halt further sales of the song. But Thicke's lawyer is still not backing down from the fight. We will have to stay tuned to see if Thicke's lawyer has any success appealing the verdict.